Last weekend, I went to Florence on a day trip with Bus2Alps. This city was amazing, and I see why it's more popular for study abroad than Rome. In this little collage you can find the best cappuccino I have ever consumed. This was at Circus Cafe in Florence, and every time I ever step foot on Florence soil I am making my way back to that cafe to get another one. You can also see a stop sign that has what looks like graffiti? on it. It's a thing in Florence that a local artist puts stickers on the stop signs to make them more interesting. God bless that fellow. Making stop signs into art. Brilliant. Here's me sipping on some espresso based goodness. Not particularly special, but still perfectly caffeinated. 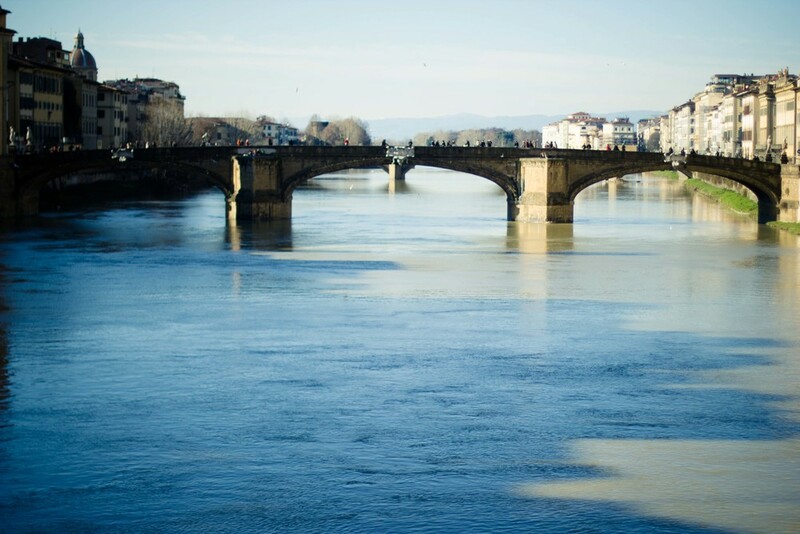 Here we have some of the more beautiful locations in Florence. Duomo, the view from Ponte Vecchio, and the view from Piazzale Michaelangelo. Here's Jaena being a doll in Florence. Last but not least, the image above is my favorite photoshop conquest. I took the picture of Alex at the Duomo in Florence, and then I photoshopped him into the Hunger Games. I think this image generated the most interest of any image I have ever posted on Facebook.